EARLY EVERY MORNING, when the farm is quiet, Haidee Hart starts the fire in the wood stove. The barn kitchen glows with light and warmth, even though it’s dark outside. 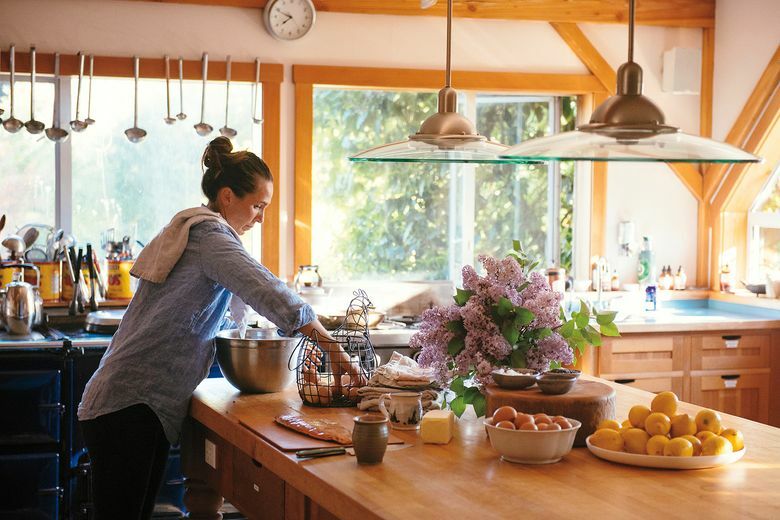 She makes breakfast for guests, and soon the farm begins to buzz with activity. Hart talks with farmers about what the garden offers that day and then plans lunch and dinner. 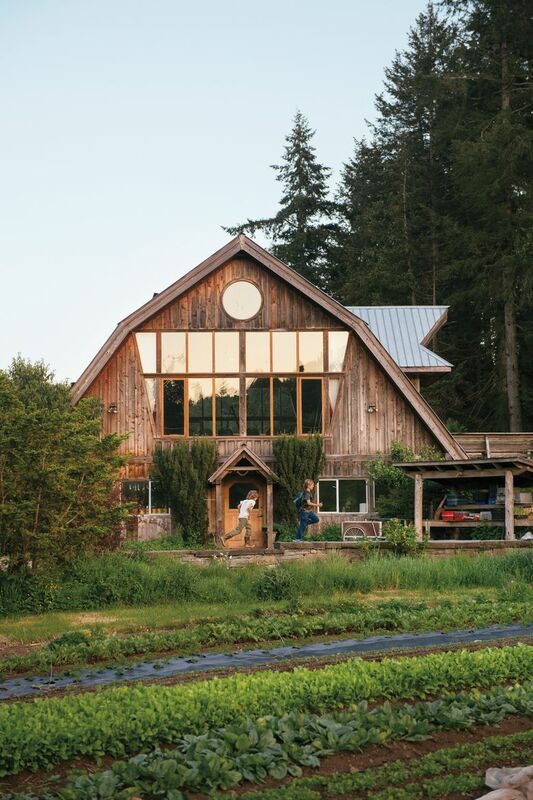 As chef on the farm, Hart sees her mission as sharing the beauty of vegetables with guests. 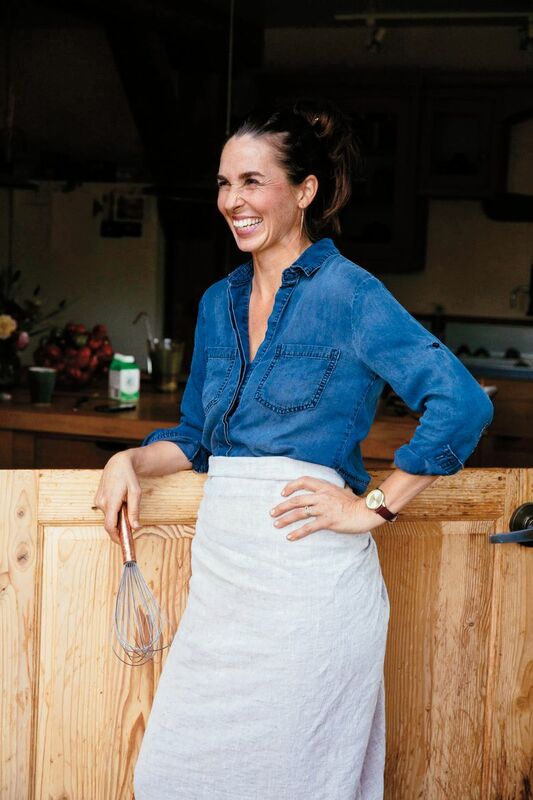 “We hope to inspire people to learn the story behind their food and to bring a connection with real food into their lives,” she says. 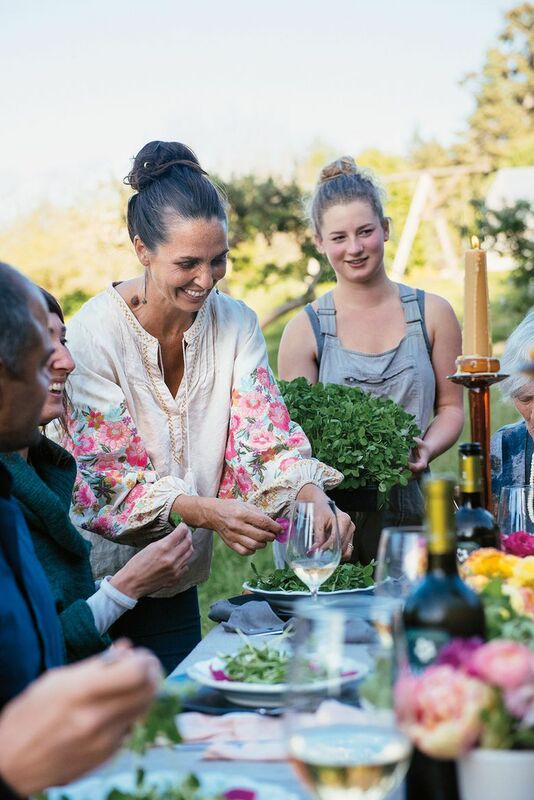 Last year, Hart and Lloyd co-authored a beautiful cookbook with two other women who run the farm: Lloyd’s daughter, Jennifer Lloyd-Karr, and Elizabeth Young. 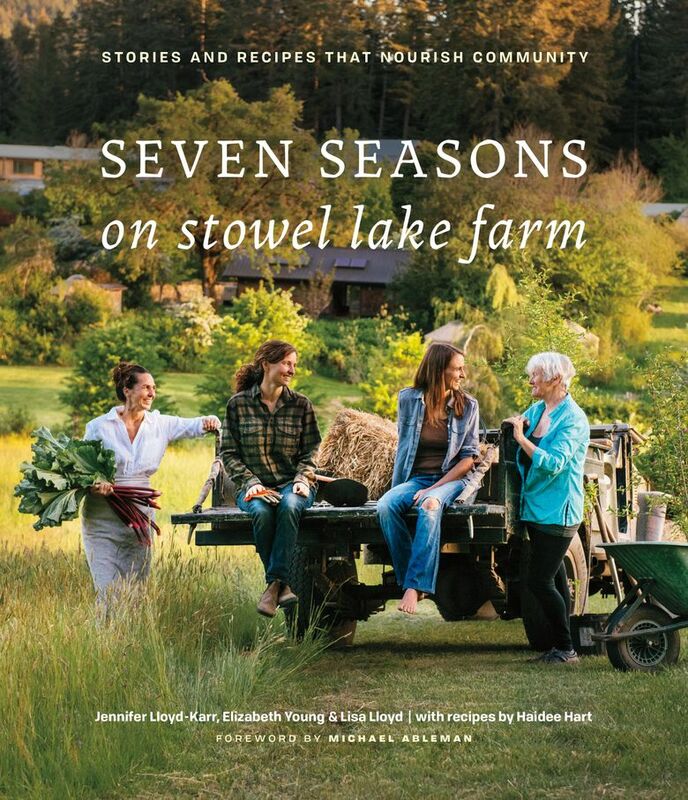 In “Seven Seasons on Stowel Lake Farm,” the four women tell stories about the farm, and Hart shares favorite recipes of each season. 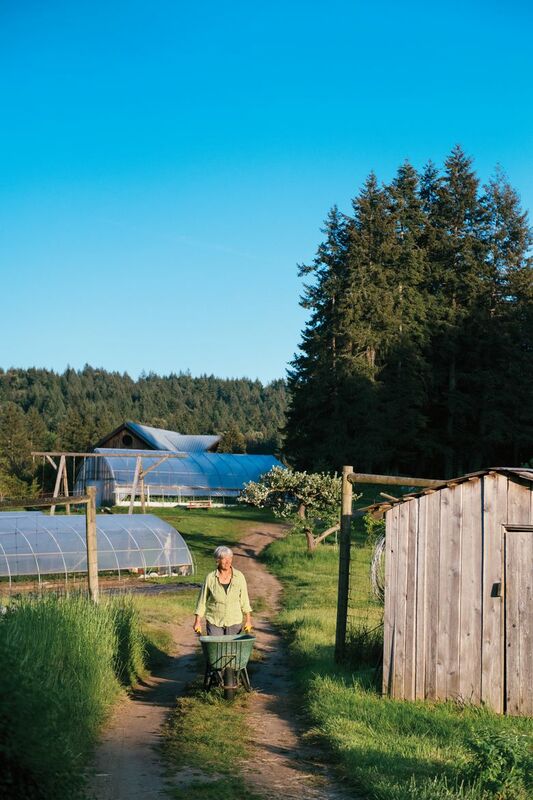 In her cooking, Hart is vegetable-focused, although she uses eggs, rabbits, trout and chickens from the farm, and supports ethical meat farmers nearby. Her sons supply her with salmon and make wooden platters for food service from maple and fir trees that have been sustainably harvested on the property. 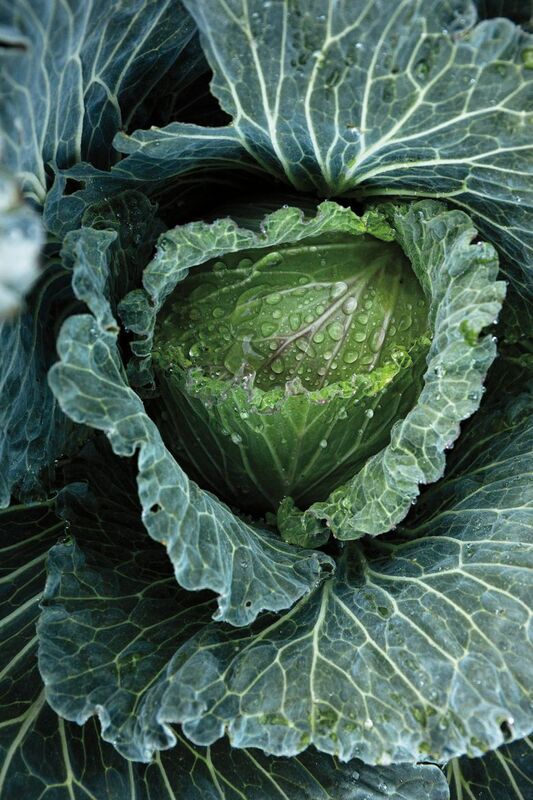 In February, Hart likes to prepare cabbage that has been overwintering. “Cabbages that stay in the ground get so much sweeter and crunchier after a heavy frost or snow,” she says. She encourages home cooks to look for locally grown cabbages at farmers markets. By presenting the beauty of simple ingredients, Hart shares the magic of the Earth and the hope that more people can live and work together, taking care of the land and each other. 1. Finely shred cabbage (a mandolin works very well), dice the fennel and its greens, and thinly slice the apples. 2. Zest and juice the lemons, and combine zest and juice with the rest of the dressing ingredients. Toss with shredded cabbage, fennel, thinly sliced apples and cranberries, and let sit about half an hour before serving to allow the flavors to come together.